iPhone 4 arrives a day early! 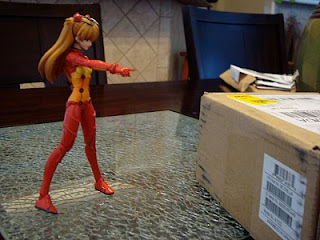 So I give Asuka the honors to open it herself, and she proceeds yelling at the box to open on command. 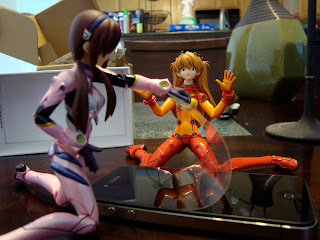 Asuka, not all your problems can be solved by yelling at them. 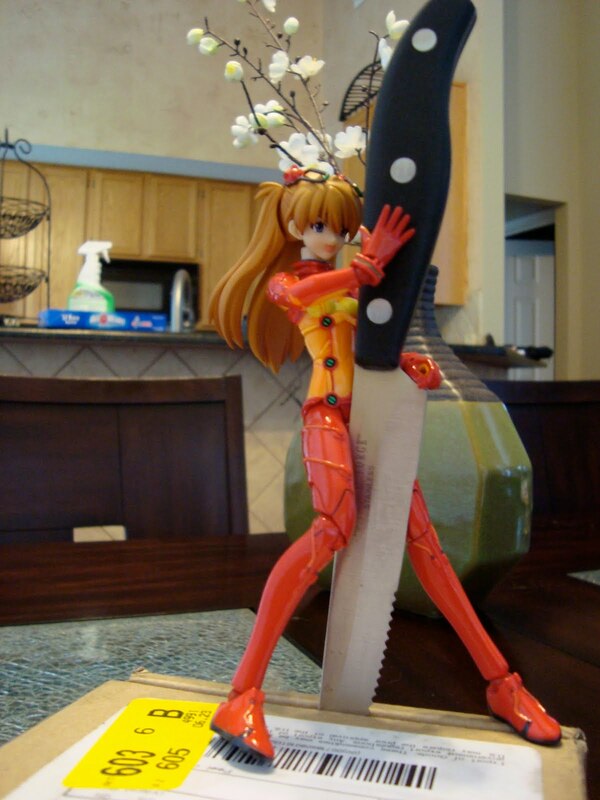 Her next plan of action, is of course, excessive violence. Careful! Don't damage the goods inside! 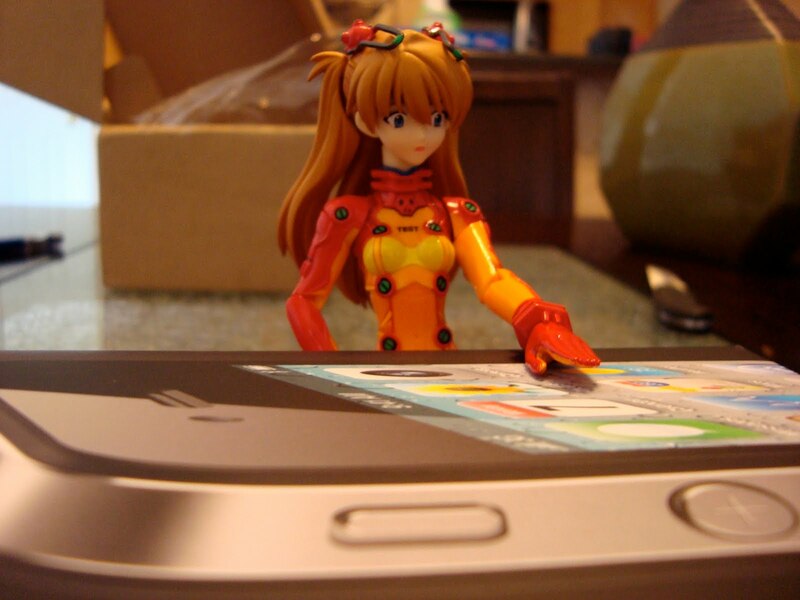 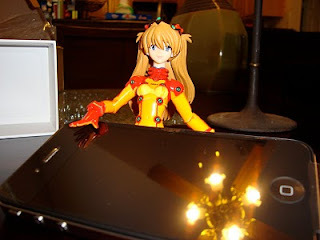 Even Asuka is stunned by the majesty that is the iPhone 4. Who can blame her really? 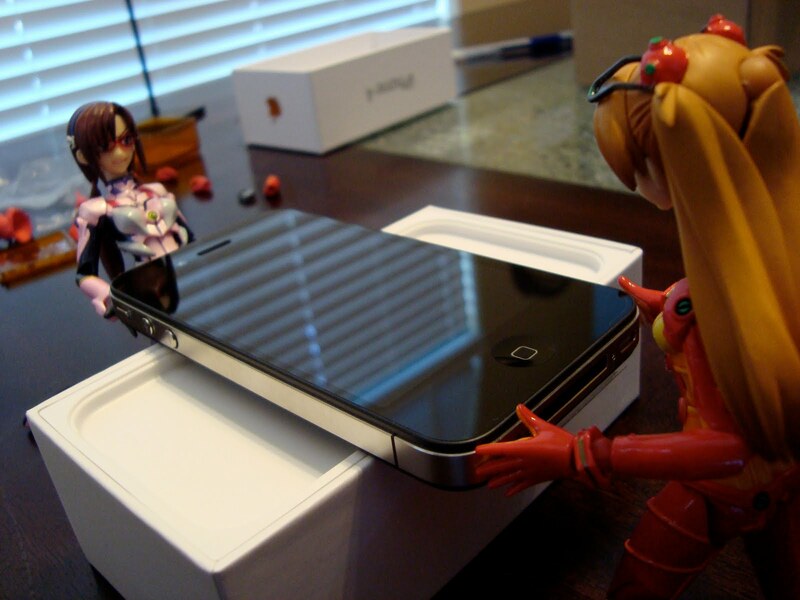 A moment of silent reflection before the true unboxing. "Give it here," demands Mari. 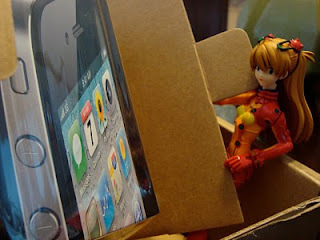 "Only I can unlock iPhone 4's Beast mode!" "Oh no you don't," replies Asuka. 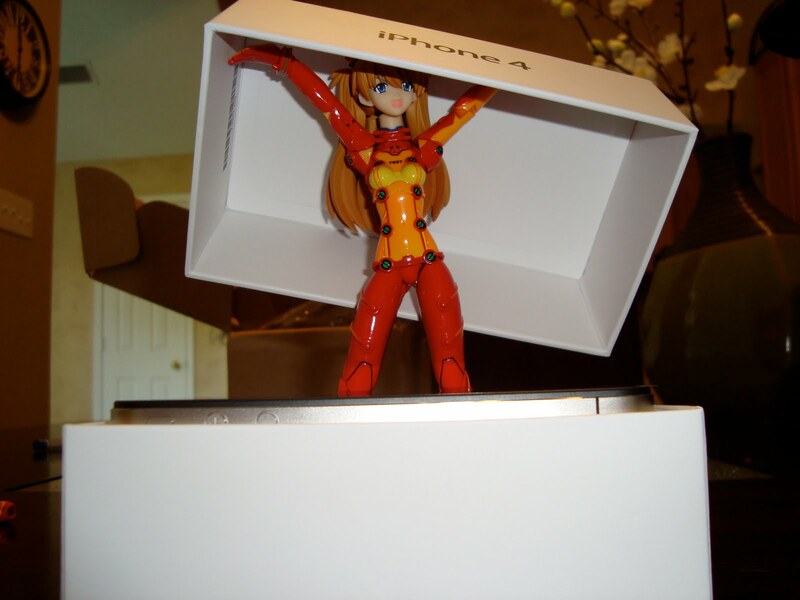 "You won't steal my thunder again!" 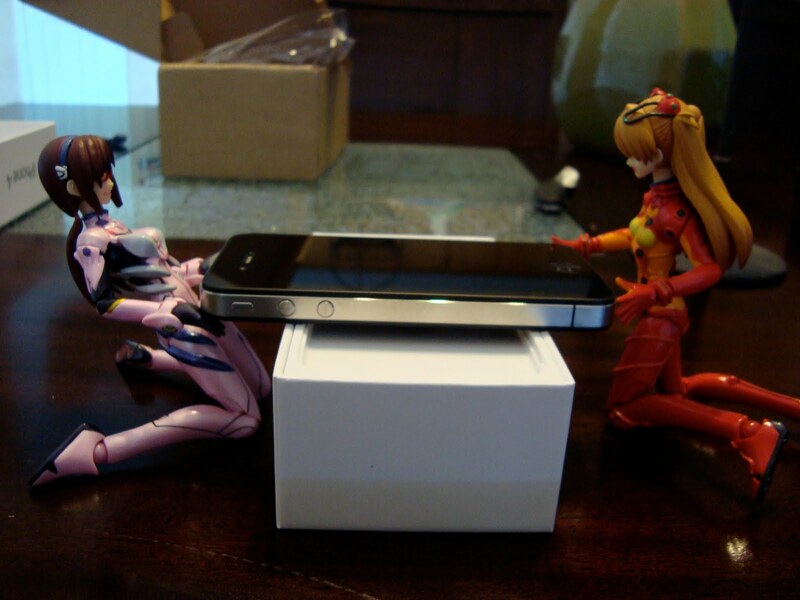 Girls, please, there is plenty of iPhone 4 for everyone (as long as you preordered). *sigh* Guess I will play with it later, once they are done duking it out. 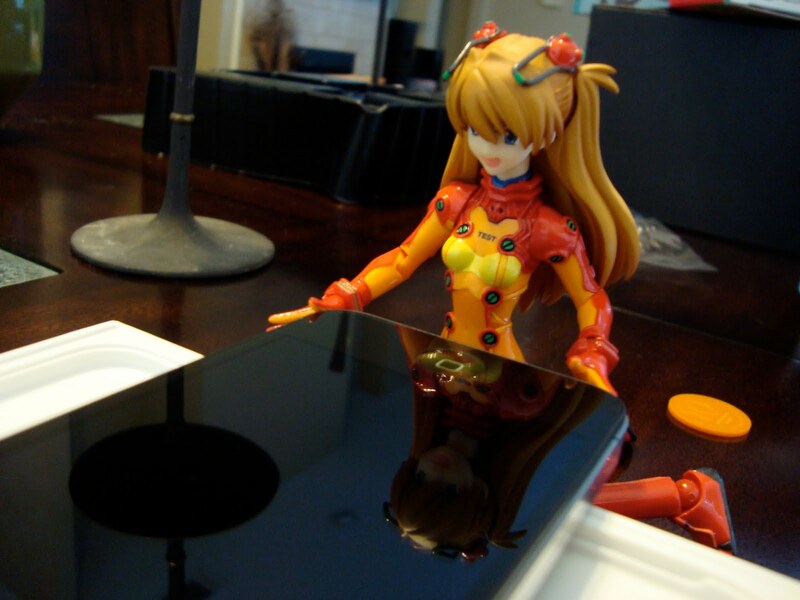 How Much would the Deathstar Cost?